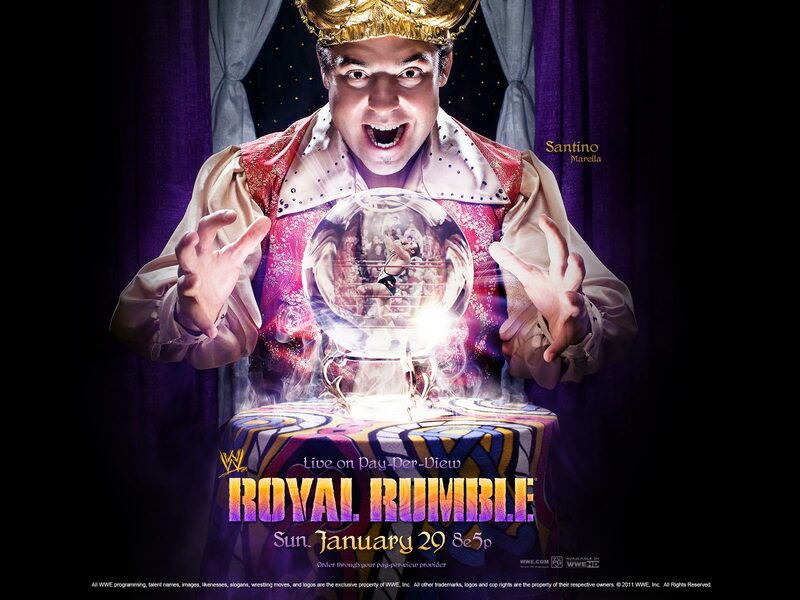 With the Royal Rumble less than two weeks away, I think now is a good time to lay out my opinion, or my123cents if you will, regarding the stipulation of the Royal Rumble winner getting a title shot at Wrestlemania. In the most succinct manner, the stipulation needs to go the way of WCW, GTV and the "who killed Mr. McMahon" storyline. The guarantee title shot has run its course and hinders the predictability of the Rumble match. 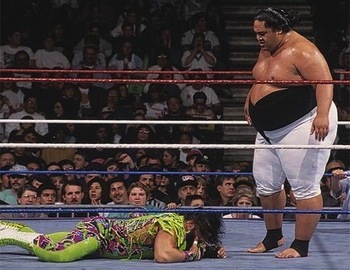 When the stipulation was added to the Rumble in 1993 it was a way to erect a bridge on the “road to Wrestlemania.” At the time there were no Pay Per Views between Royal Rumble and Wrestlemania so the match between the winner and the champion could be announced and WWE could start promoting it as a draw for Wrestlemania. Now that Elimination Chamber happens between the two Pay Per Views, along with there being a World Champion and a WWE Champion, the buildup to Wrestlemania suffers a mild pit stop on the road. 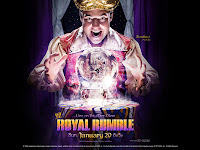 Often after the Royal Rumble is over there are a few weeks of intrigue as the winner waits to announce which title he is going to challenge for at Wrestlemania. Once that announcement is made, the focus shifts to building up a match at Elimination Chamber to determine a challenger for the other major title. In addition, the current champion is put into a title match at Elimination Chamber, which means there is a (slim) chance the winner of the Rumble won’t get to challenge the champion he picked. Besides the additional stop, the other problem with a Rumble winner getting a guaranteed title shot is it eliminates about 25 guys from being possible winners. Do any fans actually think Santino, Primo or Jinder Mahal will win the Royal Rumble and go on to main event Wrestlemania? I would speculate that even without knowing who is in the Royal Rumble match this year the winner will be one of five men. Randy Orton, Chris Jericho, Sheamus, The Miz and John Cena are the only real possible winners I can think of for this year. Actually, I don’t see Cena winning because he already has a match with The Rock in place and it doesn’t need a title to add heat to the match. The Miz has an outside chance. I really couldn’t think of anyone who would make sense to win other than Orton and Jericho. Even if WWE tried to surprise us and have someone like Ted Dibiase or Alex Riley win the Rumble, someone like Orton or Sheamus would then challenge them for their Wrestlemania title shot at Elimination Chamber so someone worthy of being in a main event actually is in the Main Event. With the extra stop and the predictability factor, it’s time for WWE to come up with a new reward for winning the Royal Rumble. Maybe a glazed ham or one of those giant checks would be a suitable prize. I would suggest giving the winner a spot in the Elimination Chamber with the bonus of being the last man entered into the match. Then I would make the first Royal Rumble winner with this stipulation be an underdog contender to show anyone can win. What are your thoughts on the Rumble winner title shot? Share your opinions on our Facebook page. Don’t forget that if you’re heading to this year’s Royal Rumble we are giving away prizes for anyone who gets a My123Cents sign on TV. So make something big and attention grabbing. Also, when we reach 200 followers on Facebook we’ll give something away. So tell your friends to like us.